Please increase damage to bring the Valentine MAA in line with planes. I am sorry to sound rude, but I feel like you're trolling with this video. 1. The Flakpanzer is broken, its stock rounds (WWIND_FLAK38_AA_Firing) are dealing double blast damage as a bug, so it's NOT perfectly balanced. This will be patched, as it is currently an anomaly, and the reason your TTK was so fast on that bomber. 2. You really need to work on your aim, leading, tracking and accuracy. You are doing the equivalent of a Stuka dropping a bomb 25 meters away from you. Against the bomber you were hardly leading at all until the very end, where you were lucky to get the kill as you only dealt 54 damage (which should have been sub 30 were it not bugged). Your tracking was incredibly inconsistent, you need to aim for where the plane WILL be, and follow in a smooth arc along their trajectory. You need to start firing far sooner, and tracking targets, anticipating their path. 3. You need to change your positioning, you gave yourself an incredibly narrow window to hit that Stuka with the Valentine, while giving him plenty of cover to evade you, repair, and reload. You cannot sit under trees... Don't you see how he used that cover against you to mask his attack, and the elevation of the road to cover his escape? He was smart when respectfully, you were not. He was rewarded for this, you were not. You cannot play SPAA with poor placement, tracking, leading, aim, reactions, etc. and expect to be successful. I am sorry, it doesn't work that way. The devs don't need to buff the SPAA damage output, you need to practice. You need to spend more time in SPAAs. You have no muscle memory or eye for where to aim. You need to develop them. If you do this, and gain experience, even if simply with proper positioning, you will be incredibly successful. Until then, you will not. It's your choice my friend. Those appear to be Stukas so they are not the optimal target class for this weapon. The 40mm would likely be more effective instead. Second the video mentions that the planes are in and out of site before the Valentine AA can destroy them. This doesn't appear to be true based on the footage. At 47 seconds we can see a late acquisition that results in about 40 damage being taken. Since the notes also mention targets take more damage flying towards AA compared to flying away from it we can conclude that quicker acquisition and firing would have likely led to much higher and perhaps lethal results for the pilot. I read the patch notes, but the 3x20mm Oerlikons do plenty damage against Stukas, watch his two short bursts from 0:48. 37 damage. If he had better positioning and aim he could have shredded the Stuka easily. This video isn't forensic in the slightest, he complains about it being severely underpowered despite doing over 1/3rd damage with poor execution, and then compares it to the Wirbelwind doing 54 damage. The problem isn't its damage output, its skill and execution, I would never position myself like that in an SPAA against a Stuka, it's asking for it. The bomber was already damaged from the other Flakpanzer, that was the bombers 3rd run on us. I was test firing on the Flakpanzer to gauge distance. On the valentine what you are seeing is not me tracking incorrectly, its the turret angle, I could not track any better. My guns were up and I was turning. I'd like to see you do better. You act as if the only things on the battlefield were the plane and me. My positioning was not positioning but travelling when the planes encounted me. Sorry, but I dont sit in the striped zones like you do all day. We all need practice, you need practice. I spend my time where the team needs me. I dont sit in tanks all day like you do staying miles off any objective to pad my K/D ratio. I actually work with my squad. 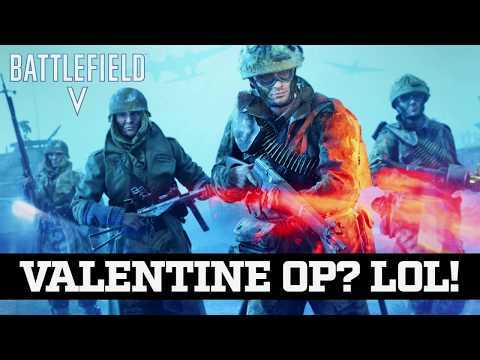 The fact is, Valentines right now can not take down bombers on any map with a pilot that is using at least 1% of his brain. I have had bombers and fighters attack me head on (with no signs of fear) and even then I could not kill them, even when I was camping a supply station. The Valentine simply does not do enough damage. The Flakpanzer may be bugged, but its exactly where it needs to be. It shreads spitfires (and thats it) and spitfires shread everything else. I saw the changes from the last patch. Specifically that fast firing AAs would be good against smaller fighters. Swapped my British AA to be fast firing. Hit nearly every shot on a diving *FIGHTER* and the fighter still escaped after my guns overheated after only 40 shots and doing less than 80 damage. Was even worse on Stuka and Bombers. Barely able to do 40 damage to bombers and 60 to stukas, both when they're diving on me. Guess this upgrade is just as useless as I thought it was. We cant change tank specs inside the game like we can our soldiers. I can not predict, nor can you predict, or anyone what spec a tank needs to take down a certain type of plane. Frankly that is a **** decision by the devs. An tank should be built for anti personall, or anti tank, or anti air, not anti air bomber, or anti air fighter. Whomever made that decision is not thinking clearly. The fact I did 9 damage to a player should be indication enough that the rounds are weak. That's what makes the game interesting. Do I take APCR for my Tiger so I can excel at range or do I take AP mines so I can politely decline gifts of dynamite from generous opponents? You've got to play to your strengths and minimize your weaknesses. And you did 9 damage to a guy going through a doorway. It's not like you laid into him out in the open and did 9 damage. I don't think you're getting enough fiber in your diet and as a consequence I suspect you suffer from higher than normal **** content. One, I think your positioning is wrong. You should catch Planes in the arc going around the Tank, not over it. If the plane trajectory is right above you, you will not have time to turn and bring around the turret to fire on the plane as he goes above your head. I have played not AA much, but this is what I observed. Two, 3x is a waste, Val AA’s strength is 40-round case ammo. You should always be picking that side of the upgrade tree. Get good in using the default flak cannon and also murder infantry on the side. What you are experiencing with the Wirbelwind isn’t intentional, it’s a bug, not balance. I rarely play the SPAA, I prefer medium tanks, but I have a lot more recorded clips including one where I take down every single plane on the map during a round of Twisted Steel, the majority are one burst kills, even at range, and some are frankly unbelievable kills, but it’s broken, so I can’t really take credit, it’s cheap, and one bursting bombers as they come out of spawn from across the map feels like borderline cheating. As for you calling me a camper, if there was a leaderboard for objectives captured in a tank, I would bet I’m in the top 5-10 globally. I’m not sure why this is relevant to the points I was making, but whatever, I feel the need to defend the accusation, despite tanks not being particularly well balanced for PTFO playstyles (despite my protests as I am a PTFO player at heart). How you capture all those objectives hanging out in the striped zones like you do all day? So the Valentine will get a nerf? As I previously stated I was en route when I got attacked by the plane. There was infantry in front of F and infantry behind me. Surely you know how fast a light armored tank gets taken out by infantry. I dont play the game to sit on the outskirts as I stated, I play for objectives. My entire purpose in recording that video was to record the damage output to diagnose what others have complained about in regards to AA damage. The fact is stationary AA can not take down bombers, not even as an engineer unless the plane is already damaged. The Valentine seems to be middle of the road and the current setup was changed for that match because the other cannons were not doing any better. Flakpanzers taking out fighters in 3 seconds. Good. I do the same all day long (when I am in a tank). 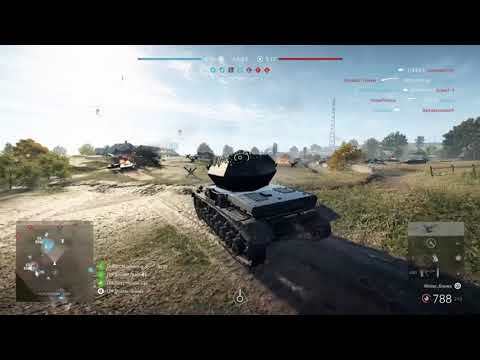 By contrast bombers 1 shot entire squads and tanks. Balance. You critiqued my play style without me asking, is it not fair that I return the favor? Why would you doubt it and why would you presume the Valentine will get nerf? You posted your gameplay so we can make some deductions - you haven't seen his (to the best of my knowledge) so why would critique something you presumably know nothing about? Good to see balance is not an issue and that a single plane needs to dominate all others on a map. People need to stop with stupid meta of the past that aircraft(planes or copter) should be the top spot in all 1 v 1 combat. people need to expand their thinking on what roles aircraft play and how they are countered. There is more to balance then whether a single fighter dies in seconds. Spawn times, travel time, threats are just as important as range, survivability and damage. Has anyone in DICE confirmed it is a bug? maybe it is correct as a balancing method it allows for 1 stronger and 3 weaker firing. No that can't be it, we can not accept that the flakpanzer is working as intended. It looks like Valentine AA needs some adjustments, I think the SAA is close to how it should be shred fighters and heavily damage bombers. Everyone knows the Wirbelwind is completely broken, GTFO, you’re not going to persuade anybody, especially not with a video that could honestly be you trolling. I really don’t know what the hell you expect?! If you make SPAA so noob friendly anybody can one burst bombers from across the map then actual skilled players will make air entirely redundant. You really have no clue what you’re asking for in terms of balance. My two most played classes are tanker and pilot. The amount of skill taken to solo an SPAA right now compared to solo a plane is an enormous chasm. They aren’t even remotely comparable. This guy used one of the best tactics, he used tree cover to take advantage of your terrible positioning. Also if I was expecting a Stuka with a 1000kg bomb to return, I would be making it my absolute priority to give myself all the advantages, not the inverse. What happens in this video is your own damn fault, and if you ever want to be taken seriously you need to own up to that and improve. I’m sorry it sounds so harsh, but I have no patience for players that ask for nerfs or buffs without first recognising there is actually a learning curve, and that there are plenty of improvements they can make to their gameplay before they cry buff/ nerf. That’s why I thought your video was trolling. No, it does not need a Buff, you are expecting the vale to kill stuka's in the same time as a flakpanzer kills a fighter plane? The video proves nothing expect you should not be in a MAA . Flakpanzer needs to be nerfed, IMO all AA needs to be toned back. I think it was fine before the patch that broke it to be worthless. Went from fine to worthless to OP, dice can't seem to get it right. 555, good one AA was fine before the patch, guess it should not be a suprize that pro plane player makes such ridiculous claims. I think you misunderstood him, he said it was good before, then after the pulnetimate patch (when proximity fuses on AA broke) it was worthless, then in the last patch they made the Wirbelwind's stock cannon rounds (WWIND_FLAK38_AA_Firing) OP accidentally due to poor coding, so it's dealing double intended blast damage. The real problem with balancing IMO, is that you have incredibly competent fighter mains, and the question is whether an AA user should require an 'equal' degree of skill in order to counter them? Currently there is a trade off, if you want to counter SPAA you need to be a fighter with RP-3 rockets, in which case you are not as good vs air superiority fighters as you use the VB/ Mosquito not the VA... And if you go the bomber route, you are more vulnerable to AA & enemy fighters. As it stands it takes a multitude more skill for a single fighter (with RP-3s) to solo kill a Wirbelwind than the inverse. No, stop putting words in others if he meant the pre-1st January patch he should have said so. Otherwise like any other time he is talking about the current patch. More specifically he talked about nerfing all AA which could be done by reverting back to 1st January patch. Wrong there is no proof that any coding regard flakpanzer is not correct. 1 Cannon doing more than the other 3 could be that DICE want to set it, so it is more in line with Valentine AA. It is good a single fighter is not able to destroy a MAA, it gives a single player to much influence over the map. No the MAA does not have the same influence even going 26-0 is no different to other vehicles.